More “bluster” about Russia from the Navy, but it seems the message may be getting through to some of them. “Richardson, along with other Pentagon officials, seems unwilling to consider the possibility that US warships and spy planes operating over 4,000 miles from home near Russian borders could be the real source of the tensions. 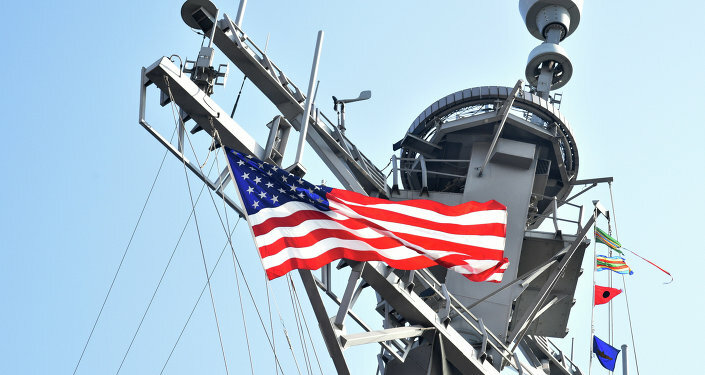 In the wake of new accusations of Russian “aggression” in the Baltic Sea, the US Navy’s top officer has called for a “normalization” of relations between Washington and Moscow. After a pair of Russian Su-24’s were accused of flying “unprofessional” maneuvers near the USS Donald Cook as it sailed through the Baltic Sea in early April, the Pentagon accused the Kremlin of similar incidents. Last Friday, the US accused a Russian Su-27 of intercepting a US RC-135 surveillance plane flying in the region. The Pentagon described the encounter as “unsafe and unprofessional,” and on Monday Admiral John Richardson, the top US Navy officer, issued a call for “normalization” in relations between the two countries. Richardson, along with other Pentagon officials, seems unwilling to consider the possibility that US warships and spy planes operating over 4,000 miles from home near Russian borders could be the real source of the tensions. On Saturday, Russian Defense Ministry spokesman Maj. Gen. Igor Konashenkov stressed that the interception was carried out inaccordance with international law. On Monday, Richardson called on Moscow to abide by maritime treaties which seek to prevent international mishaps. “We continue to advocate for that,” he said. This is, at the very least, a more measured response than that given by Republican presidential frontrunner and five-time military draft dodger Donald Trump earlier on Monday. “And if that [diplomacy] doesn’t work out, I don’t know…at a certain point, when that sucker comes by, you gotta shoot,” he said, in a marked departure from his promise last week to replace “chaos with peace” if elected. Gallery | This entry was posted in apocalypse, cabal, energies, new energies, partners in contrast and tagged Russia, US Navy, USS Donald Cook, Veterans Today. Bookmark the permalink.